In the NBA and the MLB, a 1-9 record can be considered a bad start. Perhaps things could have begun better and work has to be done to improve, but a team can recover from 1-9. In college football, it means that a team started poorly and gradually lost any and all relevance. Fordham football’s performance against Holy Cross was less than inspiring, and certainly not a deviation from the trend. After taking a 10-0 lead in the first half, things seemed hopeful for the Rams in their rivalry game against the Crusaders. Once called the Ram-Crusader Cup or the “Iron Major” series, this dated rivalry is still marked as an important game on Fordham’s calendar every year. By the end of the third quarter though, hopes were effectively dashed as Holy Cross scored two easy touchdowns to retake the lead, 14-10. 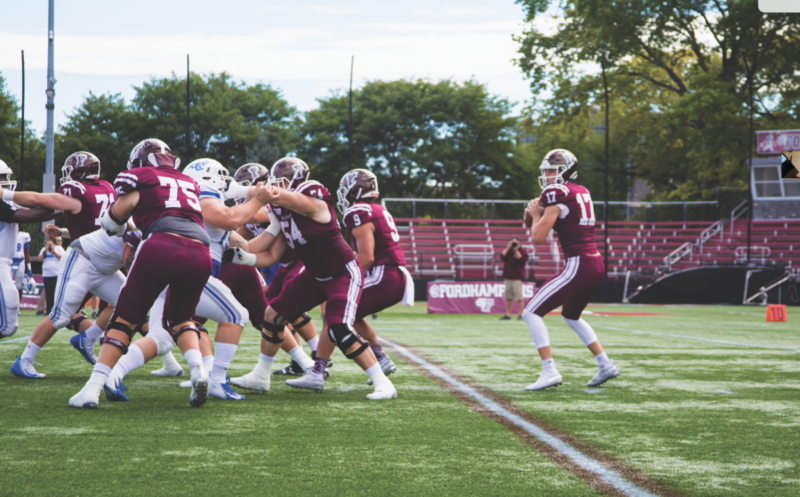 The fourth quarter saw the Crusaders extend their lead to 17-10 before Fordham scored an unimportant field goal with two minutes left to make the score 17-13. The game was well on its way to its predictable conclusion, when the unimaginable happened: Fordham had an opportunity to win the game. After kicking their field goal, Fordham kicked off to Holy Cross with just over two minutes left in the game. One first down, or 10 yards, for Holy Cross meant that the game would end; instead, Holy Cross ran three plays for nine yards in just 22 seconds, giving Fordham the ball back with 1:47 left. After several completed passes, Fordham found themselves on their opponent’s 19 yard line with just under 10 seconds remaining. With so little time left, they only had one or two opportunities to score. Their first attempt resulted in an incomplete pass, but on the play, offensive holding was called, moving them back to the 29 yard line. With just four seconds left, Holy Cross deflected a pass to the end zone and escaped with the victory. For a Rams’ fan, this rollercoaster of hope and despair is all too familiar. In the game, a good first half of football gave fans a small semblance of pride and school spirit. The defense collapsed completely and the running game, which had been absent in the first half, failed to materialize when it was desperately needed. Fans at this point were more than ready to turn their television off, when in the final two minutes Fordham made its last stand. Victory was once again a possibility, as it had been at so many points during this heartbreaking season. This last thrust of desperation was then quickly derailed by penalties and a bevy of incomplete passes, and the Rams’ record fell to a new low. In order for a team to go 1-9, close games like these are the ones that matter most. Blowout losses to Colgate (Week 9, 41-0) and Stony Brook (Week 3, 28-6) were inevitable, but the close losses to Bryant (Week 7, 42-41) and Holy Cross are the ones that distinguish Fordham from other unsuccessful teams. Despite another heartbreaking loss, one of the few positives of this game, as in many others, was quarterback Tim DeMorat, Fordham College at Rose Hill ’22. In a game where the defensive and rushing attacks were incredibly inefficient, DeMorat threw for 273 yards and one touchdown. In nine games and seven starts, DeMorat has thrown for 1,520 yards, 11 touchdowns and 6 interceptions. Despite starting as a freshman for only seven games and playing in only nine, he is in the top three in every passing statistic in the Patriot League. In addition, Fordham is statistically ranked as the top passing attack in the league, of which DeMorat is obviously an integral part. Next year, he will unfortunately lose many key position players that are currently seniors, particularly at the wide receiver position. However, the future success of this football team revolves around the development of this new talent and his potent passing attack. 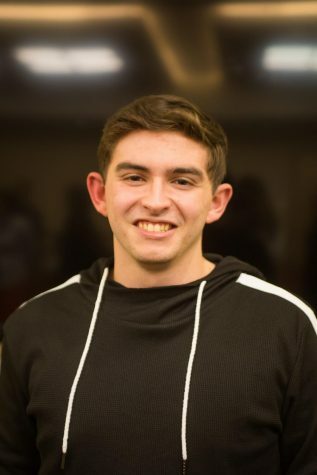 Work has to be done in nearly every other aspect of the team, but with a centerpiece like DeMorat to build around, the outlines of an efficient offense are already beginning to form. The defense is still highly questionable, and Fordham football will certainly not improve overnight, but an exciting offense may rejuvenate interest in this program in the coming years. Defense may win championships, but an exciting football game may just be enough to get Lincoln Center students to skip the fashion shows and theater programs for a night, and that in itself is a very exciting prospect.